The content of the 2016 Grimes County Strategic Plan is a story within itself. The way in which the plan was developed is another story altogether, one that breathes life and optimism into the pages of the plan and balks against a too-familiar trend of public apathy. “The plan contains nearly 100 percent citizen-driven input, and I would venture to say that it is among the most (if not the most) citizen-driven county plan currently being used anywhere,” declared Michael Fortunato, Ph.D., director of the Center for Rural Studies. Citizen participants were encouraged to think broadly and creatively about the issues that could be addressed in the county, Fortunato explained in the final report. 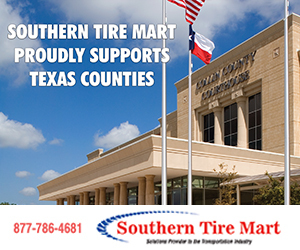 They were informed that the planning process was limited in scope to those things under the purview of the Grimes County Commissioners Court: county services (including both new and existing services), and issues of county government and governance. Since issues beyond the scope of the county are unlikely to be resolved without a broader coalition, they could not be included in the county plan; only those things that the county and its citizens control directly could be addressed. On Jan. 26, 2015, 54 delegates used their “audience response system” clickers during a strategies session. 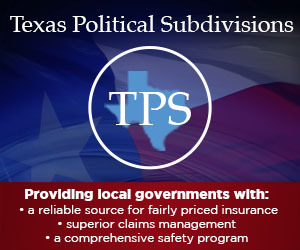 This delegate voting meeting was the culmination of five town hall “listening sessions” and two “issues sessions” organized by the Grimes County Strategic Planning Committee. The following excerpt from the final plan report explains the delegate system and issues analysis process in detail. To view the report in full, go to http://www.co.grimes.tx.us/. With so many participants across five locations within Grimes County’s town hall meetings, it is hard to get absolutely everyone to come back for the next part of the planning process. It is harder still to combine input across that many individuals over the entire course of the process. To maximize input from citizens, but make the process more efficient for citizens (not having to attend many meetings) and the facilitators (obtaining better quality, more accurate data), we instituted a delegate’s process of voting. To do this, we strove to create a voluntary, direct democracy system. Members of each group at the town hall meetings would nominate members of their group, or anyone else at the event, to become delegates at future planning meetings. Self-nominations were welcome, as long as the nominee lived or worked in Grimes County. Participants in the town hall meetings were directly challenged by facilitators to conscientiously nominate a diverse group of delegates representing different populations across the community; diverse age groups, racial groups, members of different religions, employees in different sectors, and individuals with a variety of interests were encouraged to be nominated. We encouraged volunteer nomination because we wanted to ensure that nominees were enthusiastic and committed to the process and felt a deep sense of responsibility to attend future meetings. However, all delegates were charged with an important task: They must not only represent their own views, but serve as true representatives of the other views and ideas that they heard in their town hall discussions. Being a delegate is less about representing one’s self and more about representing the total group. A total of 54 delegates were nominated across all five meetings to represent the broader community in the planning process. Nominees’ names were recorded, and their contact information was taken. Delegates were told they would be expected to attend as many of the future planning meetings as possible. At this stage, all notecards from all five town hall meetings were collected. Using a qualitative data reduction and coding strategy, redundant information (repeated suggestions) and ideas that closely resemble each other were combined into clear issues for consideration. These issues were then combined into general headings. So, as an example, two citizens might have written “We need better EMS service” and “Not enough ambulances in the county.” This would be combined into “Improved EMS/Ambulance service” and might make its way into a category called “Health Care.” Issues were then compiled and brought to the first delegate’s meeting for voting. The first two meetings of the delegates occurred on Nov. 18 and Dec. 8, 2015, in the American Legion Hall in Anderson, chosen as a central location in which delegates from across the county could easily convene. The issues meetings used a virtual polling technology called TurningPoint. Each delegate was presented with a clicker, or a small voting device that looks like a pocket calculator. This technology enabled delegates to vote upon the level of priority that should be given to each issue identified in the town hall meetings and compiled by the facilitators. Delegates were able to see the results of the voting instantly. To make deliberation more productive, facilitators grouped issues into general categories and listed the specific issues that would be voted upon under each category. These issues were presented to delegates prior to voting. The group of delegates had five minutes set aside for deliberation of each category. Since the issues already arose out of the town hall meeting process, it was already determined that each was considered “important” by a member of the community. Deliberation was therefore not permitted to be advocacy for or against an issue. It was restricted to discussion of important information that could affect whether or not something could be in the plan (i.e., issues that the county does not control), or information that could clarify the issue further (i.e., understanding what actions have been taken, legal complications, or more specific definition of the issue). Individuals who wished to speak during the deliberation were required to limit their contributions to 30 seconds. After the deliberations were completed, delegates used clicker technology to vote, in succession, on each issue raised within each category. Data was immediately available to the audience of delegates on the projector screen. Following the issues meetings, low priority scores were subtracted from high priority scores (with medium priority being treated as a neutral category). This created a final percentage that could be ranked, from high consensus that the issue is a high priority issue, to high consensus that the issue is a low priority issue. The remainder of the report covers additional information on determining strategies and timeframes. At the conclusion of the project, a Strategic Plan Priorities Chart was developed; the first set of issues was assigned to officials, and each issue was given a completion term. All of the priority items are available for viewing on the county’s homepage, http://www.co.grimes.tx.us/. The assignment of each priority to a public official is important, he continued.